His award. I hope he can afford a VCR to play it on. Bryce Harper can add another title to his impressive resume: Rookie of the Year. Now the only thing he has to consider is whether to put it under work experience or create an entirely different awards section. There is nothing more difficult than learning how to format a resume properly, I feel bad that he has this tremendous strain on his shoulders. 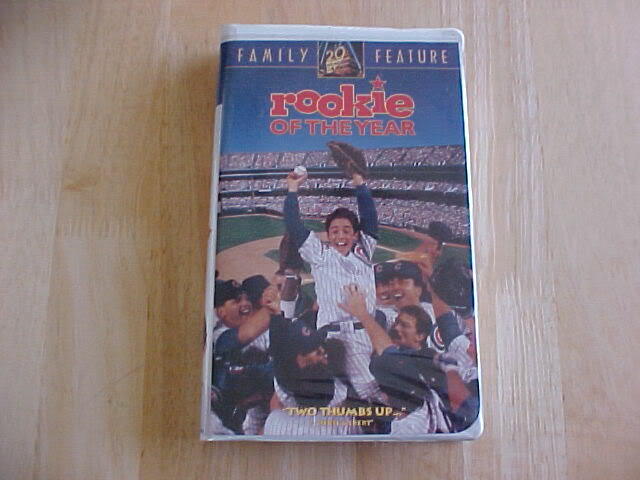 I always have found the Rookie of the Year award to be a bit presumptuous. I mean presenting it November? Who knows what’s going to happen the rest of the year. For all we know Wade Miley could invent time travel in December then go back to June and throw a couple perfect games. Or Todd Frazier could take a dump on Chase Utley’s doorstep during the first snowfall. Both of these would be much more notable accomplishments than anything Harper did this year. Harper becomes the youngest NL ROY since Dwight Gooden. He’s also younger than any AL ROY in history, breaking the record set long ago by Mike Trout. Bryce finished with 16 first place votes, followed by Miley who came in 2nd and Frazier in 3rd. Now it’s time to go out and party! Party the way a 20-year old Mormon would of course: illegally impersonating a police officer and/or beating up gay kids. I can’t wait til we maybe see Coffey (barely) fit into one of our jerseys again. As a devastating force hits the Northeast, another even more unstoppable force hits free agency. Todd Coffey is officially a free agent after the Dodgers declined his $2.5 million option earlier today. Some would call it an easy move, considering Coffey underwent Tommy John and will be out until after the All-Star Break. But these people are foolish. Too many people rely on new fangled statistics to determine a player’s worth. Like WAR, and FIP, and games played. But I really value a player by how much heart he has. And Todd Coffey has the most heart in the majors. Sure he might just sit on our bench, tweeting pro-Romney things and then claiming it was a friend’s kid as we wait for him to actually pitch in a game. But his presence alone will propel this team towards victory. Or into a constant orbit around him. One of those two things. 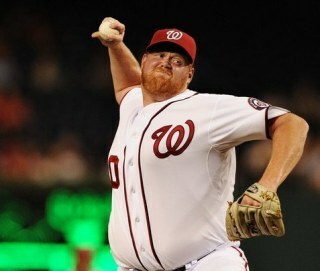 I hope the Nationals make the right choice and bring back Todd Coffey. We miss you, Todd. Final (sniff) Score: Nationals 5, Phillies 1. Jonathan Papelbon: .2 IP, 2 ER, H, BB, K. It’s almost sad that Papelbon won’t have the chance to blow any saves in the postseason. The happy kind of sadness. They let Teddy win. I always knew they’d do it eventually when the Nats got good. They had to. The constant failures of Teddy couldn’t go on forever, lest they devolve further into some kind of dark metaphor for the ultimate pointlessness of existence. Another winner rubbing it in John McCain’s face. It’s finally happened. Teddy has won the Presidents Race. For so many years Teddy has been trying hard to win, and it looked like he’d never even come close. Much like Mitt Romney. But finally he was able to do it in 2012. Hopefully not like Mitt Romney. The oddest thing was perhaps how the win went down. For you see it wasn’t Teddy winning this race on his own. He was helped by a mini Phillie Phanatic. Could this be the Phanatic’s son, rebelling against his father’s beliefs and coming over to the better side? I would be ok with that if I wasn’t worried about him bringing over some of the strange diseases that Philadelphians carried. I mean, his nose did fall off during the altercation. I wouldn’t be surprised if all that green fur was actually gangrene. But hooray for Teddy. It’s been a long hard fight, but now you are what you’ve always dreamed of. 1 and 534. Congratulations, you’d be a perfect fit on the Charlotte Bobcats. Update: Watch the video here. Hopefully another assassination attempt doesn’t dampen the occasion. The Nationals have dedicated their last series of the season to the President that everyone loves. No, not Kang or Kodos. I mean the President everyone loves by choice. Teddy! 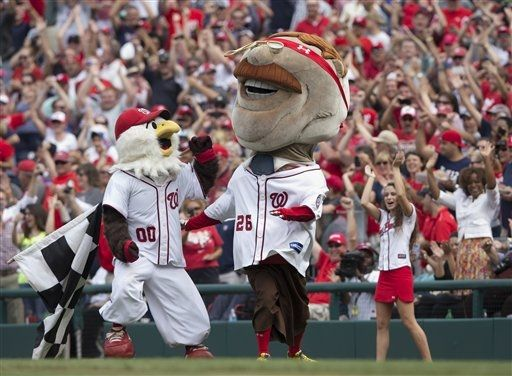 That’s right, as the Phillies come to town from October 1st to 3rd, the Nationals will host a “Teddy in 2012” series. It’s very fitting they’re playing Philadelphia considering most of the Phillies fans, male and female, are as big and hairy as bull moose. You can read all about the series and get tickets here. The big question for the series is will Teddy win? 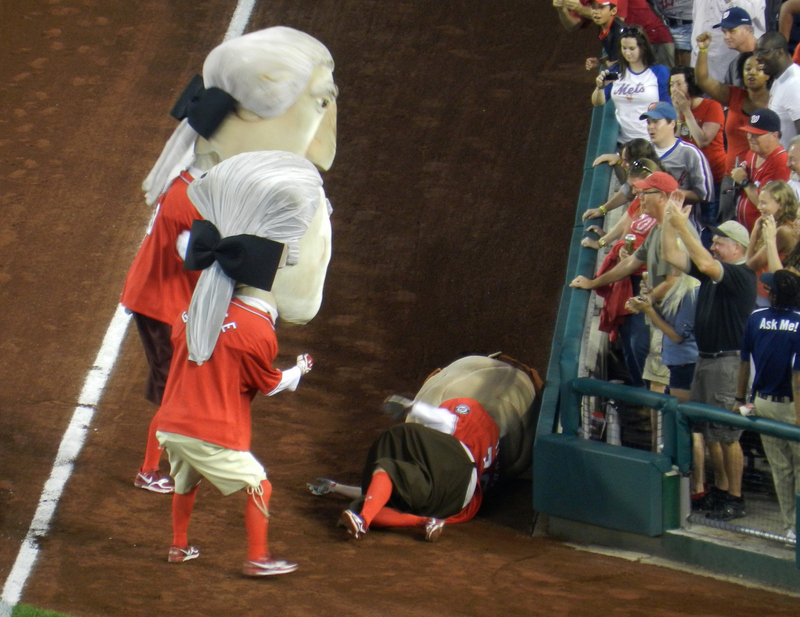 After hundreds of failures in the Presidents Race, can Teddy finally cross the finish line first? It certainly is possible. But technically so is Mitt Romney winning the Presidential race. Just cause they’re possible, doesn’t mean they’re anywhere close to likely. I always thought that Teddy winning should be on some grand occasion. I’m not sure if a series vs. the Phillies is the time to do that. Giving your biggest rival a chance to be present for history? Why give them that pleasure. And how do we know one of them won’t try and take a shot at Teddy to prevent him from some grand comeback. To prevent catastrophe, let’s stuff that giant head with folded up speeches. I guess we’ll just have to see what the Nats decide to do. 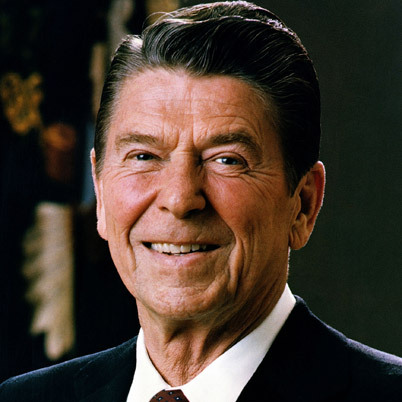 Maybe they’ll replace the other Presidents with Teddy’s greatest rivals, to make it real special. How about a race like we saw in the 1912 Presidential election? Taft in a rolling bathtub, Dusty Baker can suit up as Woodrow Wilson considering Dusty’s recent unfortunate experience, and a Eugene V. Debs character as well, assuming the person portraying him doesn’t go on strike. Brew Crew Cut Down: DC Overpowers Brewers Again, Prohibition Back in Effect? Final Score: Nationals 12, Brewers 2. Ryan Zimmerman + Jordan Zimmermann: Win, 6.2 IP, 4 H, 2 BB, 1 ER, 7 K; 5-7, 3 R, 1 HR, 5 RBI, 1 BB. The Republicans should’ve made this their ticket for the upcoming election. They’re better than Romney/Ryan in that they’re likable, but still have similarities in that they’re both very white and make union members from Wisconsin miserable. Kameron Loe + Manny Parra: 2.1 IP, 5 H, 4 BB, 5 ER, 1 K. If the Brewers hope to stay in games, they’re gonna need a better Parra relief pitchers than these two. This must feel like a real Loe point for the team. The Sun. It might give life to the world. It might be the reason that any of us exist. It might one day envelop the earth in its fiery furnace, destroying everything humanity has ever created. But it is a total pushover. Writing about Sunday’s game, this blog declared war on the Sun for the terrible things it did to our outfield. It appears though that just the threat of war has revealed the sun as a cowardly massive ball of flame. During today’s game, the Sun realized that it had allied with the wrong side and decided to change the game in our favor, as it blinded Carlos Gomez leading to some runs for the Nationals. The Sun is clearly afraid of our force. He knows we have the power to take him down. 180 home runs, right? That’s the amount of power it takes to extinguish the Sun? I thank The Sun for coming to its senses, and hope that we have an agreement for the future. You don’t blind our outfielders, and we won’t blind yours. Final Scores: Nationals 3, Dodgers 1; Dodgers 7, Nationals 6. Dame of the Games: Jordan Zimmermann: 6 IP, 1 ER, 6 H, 2 BB, 4 K. After a number of bad starts recently, Jordan was back to his old tricks. And I don’t mean that trick he used to play on his mother where he would fake his own death. That was mean. Shame of the Games: John Lannan. 3.2 IP, 6 ER, 8 H, 2 BB, 3 K.. It’s not John Lannan’s fault that he’s such a bad pitcher, really. He, like most people on this earth, is destined to an existence of never truly excelling in his field of choice. Can we really fault him for simply performing at the same level most of us do? Yes. Hypocrisy’s never stopped me before. Every time I hear the word “doubleheader,” naturally the first thing I think of is two baseball games in the same day. 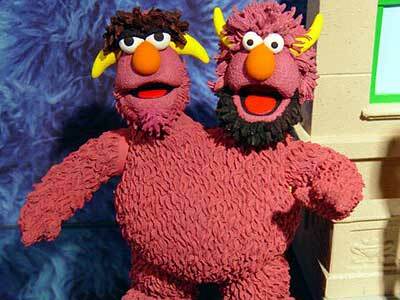 But the second thing I think of is some kind of creature that has two heads. Any such creature could, of course, be described as a double-header. Double-headers can be good, bad, or neutral. My feelings about yesterday’s doubleheader between the Nats and the Dodgers can thus be chronicled in terms of pictures of creatures with two heads that I deem either good, bad, or neutral. Makes sense, right? Final Score: Diamondbacks 7, Nationals 4. Cesar Izturis: 1-1, 1 2B, 2 R. Cesar is now 2-2 with 4 runs as a National. You may ask, why all the runs with so few at bats? And I say, bad pre-game Mexican food. 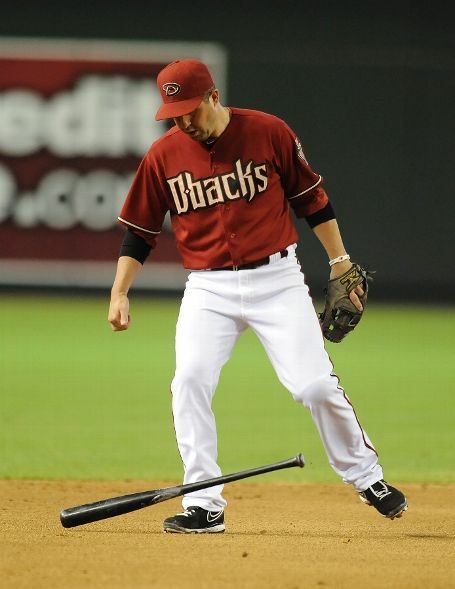 Kurt Suzuki: 0-4, 1 E. Suzuki turned in another 0-for-4 performance, coupled with his first error as a National. He had committed many errors in Oakland however, including making himself seem valuable in some way to the Nationals. 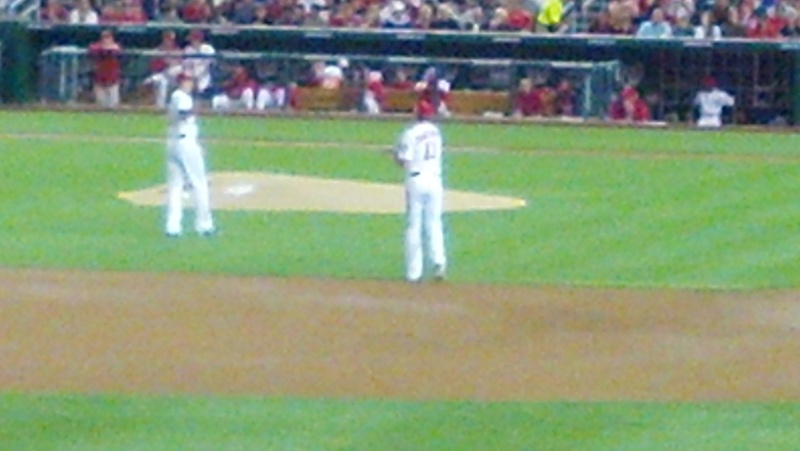 Ross Detwiler was sick tonight. No, he didn’t have nasty stuff. He was sick. No, he didn’t do something gross like poop in his glove and then use it. He was sick. No, he wasn’t spelled incorrectly and quoted. He was sick. He just didn’t feel well. And that showed on the mound. In more ways than just the mound being covered in sniffles and vomit. For every runner Detwiler allowed, he also gave up an earned run. Which would’ve been fine if he didn’t allow any runners. But he did. So that’s bad. The desert sun growing up wasn’t good on Bryce’s skin. We forgive children when they make mistakes. I will never forgive Mark Judge for writing “Bryce Harper, Conservative Hero” on the opinion page of the Daily Caller. Remember the first truly horrible thing to happen to you? That moment when your bubble of childhood innocence was shattered by the realization that your cousin Bart’s devotion to eating a gallon of Haagen Dasz a day was directly responsible for his premature death in the second grade? What you weren’t told, however, is that sometimes bad things are written down. And sometimes, no one stops them from being printed. And sometimes, you read them. It’s times like this that I wish I could trade places with Bart. Or at least banish Mark Judge’s “Bryce Harper, Conservative Hero” article into the kiddie pool we buried him in. Well, let’s get to it. 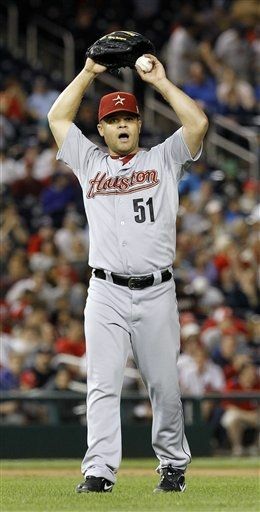 Wandy Rodriguez forgets how to do the YMCA. Final Score: Nationals 1, Astros 0. Gio Gonzalez: W, 7 IP, 2 H, 2 BB, 8 K, 0 R. With Washington’s choice to no longer support the space program, Giology is being given millions of dollars to further advances in that industry. Many of the findings to this point have thrilled Washington, but upset the rest of the country. 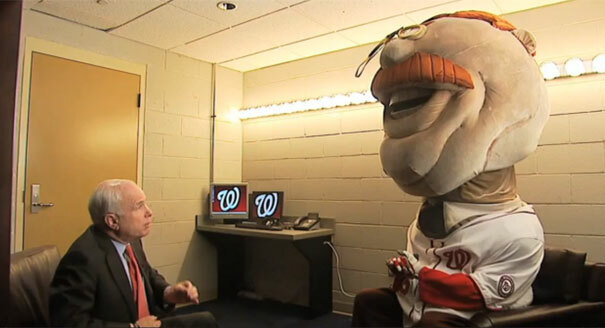 I expect Gio Gonzalez to be at the head of Romney’s veep vetting. I always expected Mitt to be a baseball fan given his name. Willard. Brad Lidge: S, 1 IP, 1 H, 1 BB. The stats don’t show how bad Lidge was. A double, a four pitch walk, throwing strikes down the middle that he got lucky on. Lidge has gotten away with murder in his save opportunities. Clearly he models himself after Ugueth Urbina. On a day when a space shuttle was retired, many baseball players who play for a team with a name that kind of relates to space were also retired. Both had launched things into the atmosphere in the past, but now the shuttles and the Astros have worked long past their usefulness, and no longer positively contribute to their industries. I can only assume that come the end of this series in Washington, the Houston team will be paraded around in the sky one last time as the many adoring fan cheers them on, and then be placed in a museum for all to gawk at. The museum will not be a popular one.